Israeli occupation forces arrested Palestinian Legislative Council member Khalida Jarrar and Khitam Saafin, chairwoman of the Union of Palestinian Women's Committees, who have been taken to an undisclosed location, in addition to 9 other individuals in a pre-dawn raid. 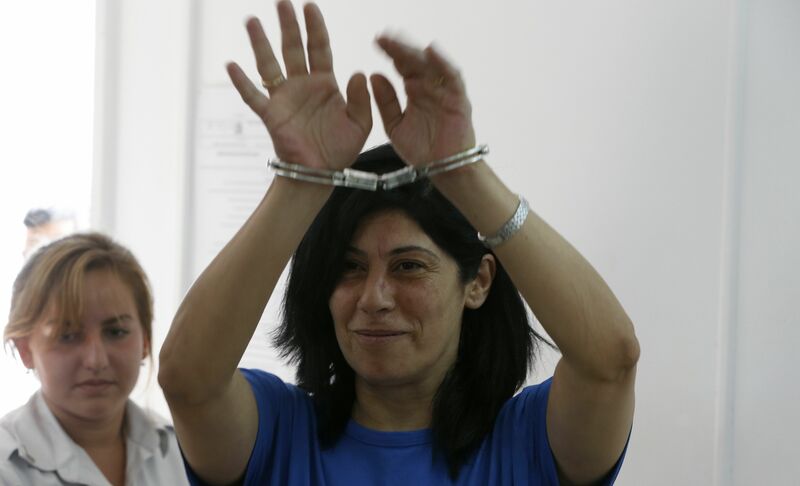 Khalida Jarrar, a civil society leader, has been a Palestinian Legislative Council Member since 2006, is head of the Prisoners' Commission in the Palestinian Legislative Council, and member of the Board of Directors of Addameer Prisoner Support. Khalida Jarrar has been targeted by Israeli forces in recent years. She was released from prison in June 2016 after serving over a year in prison, including one-month under administrative detention. The arrest of Khalida Jarrar constitutes an attack against Palestinian political leaders and Palestinian civil society as a whole. It also constitutes one arrest in the context of continuous arrest campaigns against Palestinians. Addameer calls for the immediate release of Palestinian civil society leaders Khalida Jarrar and Khitam Saafin, who are in unknown location.